The game is dedicated to the famous game. Only here you need to build a path so that the train reached the station. You acted as a cat that needs to translate a few cargoes of fragile constructions. Try to hold a wheelbarrow so that it is not foiled down. Two images, 10 disparities. Dare. Game for creative people. We give you the room and furniture, you have to specify what is necessary. To install the furniture, you should just simply drag it from the right block in the room. Note that the second will go to first. And look at the angle of perspective. Feel great players and fought with artificial intelligence in chess! 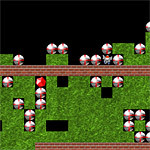 In this game can play as a novice chess players, as well as professionals, as there are several levels of complexity. Borites for a place inside geksagona. 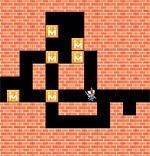 In this game you need to push all boxes to their seats on the labyrinth, so the loader should be not only the strength but also intelligence!. Collect the red rocks, to jump to the next level. Determination of the factor of intelligence. You give a limited amount of time. Before you have a map of the locks. You should all open to progress to the next stage. Bul'ka! Hlyup! Who won more cells - and he won. Parrot Polly likes to steal things from his master. But we must be careful - the owner also does not sleep. Try to collect cells from as many things. At the bottom of the screen is an indicator - when the bar is green, click on the subject to his nick. Spinomozgovoy glamorous killer time. From the mines in the mountain-lodge gems, but you need lots of exercise at least 3 pieces. The process is not straining and very prolonged. Excellent replacement «ball». You need to remove all droplets from the field, so to add some drops of stored drops. After the end of each phase, you add one driblets. Relax in the Japanese gardens. Mahjong - this is a wonderful chance to escape from all the cases, down the pyramid of tiles. Chips randomly put into a pyramid of some form. Each course can be unlocked to remove two identical chips. Chip is considered to be unlocked, if it is not no chip, or it is not surrounded by the chips at the same time on the left and right. 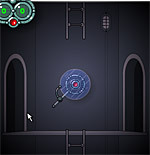 Try to find a key to the elevator and get to the second floor, which will begin the most interesting puzzles.